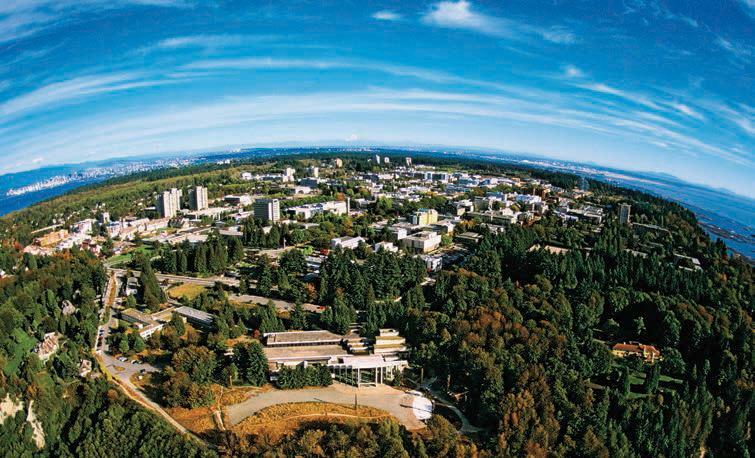 A much anticipated documentary by the fifth estate has made some startling discoveries that ultimately cast an unflattering spotlight on how UBC handles sexual assault and the university's lack of an overarching sexual assault policy. According to CBC, Dmitry Mordvinov, who was working towards his PhD in history, was accused of multiple sexual offences that were committed two years ago. However, Mordvinov was only expelled from the university last week. UBC spokesperson Susan Danard issued an emailed statement Friday evening responding to the story. "It is important to understand that BC privacy law prevents us from disclosing information about or responding to specific cases mentioned in the media. What we can say is we continuously strive to improve our collective response to sexual violence through education. We can do better and we will do better," read part of the statement. Several women came forward to the fifth estate to tell stories of assaults committed by Mordvinov. One preferred to remain anonymous, but another, Caitlin Cunningham, went on record. She told the CBC that after reporting her attack to the university, UBC encouraged mediation between herself and Mordvinov. According to the CBC’s reporting, Monica Kay, director of conflict management, perpetuated a sense that the survivors should keep their experiences to themselves. At this time, Kay has not responded to requests for comment. When The Ubyssey spoke with Clark Lundeen, assistant principal of Green College — the residence in which Mordvinov was staying while studying for his PhD — he said that reports of sexual assaults would be taken very seriously. Based on the findings of an investigation, the survivor would be referred to on-campus resources for support. “Confirming is a difficult thing. If we receive a complaint from somebody at the college who alleged that they’re a survivor of sexual assault by somebody, then we take it very seriously and make sure that their safety will be made a priority and that includes … not sharing information that might compromise their privacy,” said Lundeen in that interview. According to Janice Robinson, director of Residence Life and Administration in Student Housing and Hospitality Services (SHHS), should a survivor disclose their experience the response would be that the residence advisor offers peer support and focuses on getting the survivor the resources and help they need. When asked to address the issues raised by the fifth estate documentary, SHHS, Green College and Piper all insist that UBC takes the issue of sexual assault seriously. However, if CBC is correct in their findings, it took the university almost a year to expel the graduate student who they were officially aware to have assaulted a woman in the spring of 2014. All of this is ultimately complicated by the fact that UBC does not have a single overarching policy on what to do in the event of a sexual assault. When asked about the progress of such a policy in Senate, both Piper and interim Provost Angela Redish said the question ought to be directed to the VP students, Louise Cowin, who was not present. According to Ashley Bentley of the AMS Sexual Assault Support Centre (SASC), it is problematic that UBC lacks such a policy to deal with assaults and instead relies more on Policy 3 — dealing with harassment and discrimination in general. The protocol that is currently in place at the university is that, should someone disclose an assault and would like to report in some capacity, they will first be referred to SASC. Should the student report internally – i.e., not to the RCMP – the allegations will be put to the non-academic misconduct committee where the survivor makes a formal report and both parties are asked questions — similar to a trial. This story was updated Nov. 20 at 5:55 p.m. to include a statement from Susan Danard.